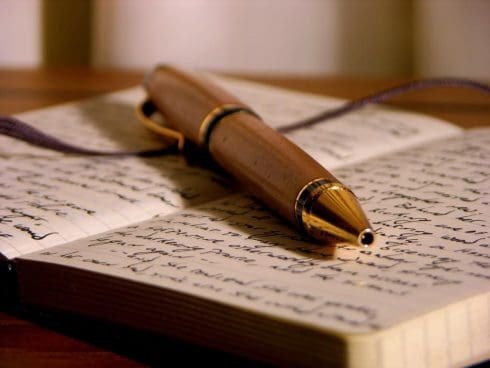 When you were in high school, did you enjoy your English writing assignments? I know I didn't. What if an “expert” niche website builder came into your 10th grade English class, and made writing fun? Well, that's exactly what Jake Cain did, and is the success story that I'm sharing today. I absolutely LOVE the fact, that Jake was able to get in front of a high school English class and teach them all about niche websites and writing online. Boy, if I knew about the possibilities of the web when I was in high school, I could have skipped YEARS working at a boring old corporate job! As you know, I share success stories from readers from time to time. You can read all the past success stories right here. If you would like to share your own, please follow the instructions right here. Jake Cain – Currently I work as a consultant in higher education for a technology company. More recently, I've tried to start a few other niche websites following a similar process to what Spencer teaches here on the site. With some marginal successes under my belt, I had a fun idea this Summer. As we all know, content writing is one of the most time consuming parts of building websites. However, without high quality content, link building and other efforts are going to bring very limited success. My sister is a high school English teacher and I approached her about doing a website project with one of her classes. She was thrilled about the idea! She said one of the challenges with writing assignments is making students see the connection to the real world. Obviously doing a class niche website was very much a real world application. You are helping solve problems and answer questions to “googlers” around the world. In September I went in as a hyped up “mystery guest” and was able to teach the entire class for 10th grade English. There were 20 students, so I had gone in prepared with 20 keywords, which would ultimately be the writing assignments. Much of what I covered was the basics you could read in Spencer's E-book on why websites rank, how you can research keywords, finding low competition, etc. I also laid out very specific quality guidelines as far as article length, citing authoritative sources as a quality indicator, and using the keyword in the title, description, and throughout the content naturally. At the end, I revealed our URL and specific niche (pest control). The great part was that I offered a cash prize to the top 3 traffic-getters at the end of the year. The writer of the page with the most traffic wins $50! The contest lasts through May 1, 2014 when I'll go back in and award the winners. I think an assignment with a potential to win money was a big hit with the students. Monetization was secondary on this project. I was more worried about finding a topic where the students could see their hard work move up the rankings and get traffic than a “profitable” niche. The site does have Google Adsense and we get about a 3% CTR. While traffic was basically zero in October, we are now up to 500-650 visitors per day. The main reason is the amazing student writers that have contributed! My goal in this whole project was to do something mutually beneficial. Obviously I was getting great content, but at the same time they are learning a new skill and writing style that can pay off for them in the future. Another benefit is that the class did peer editing, and actually sent revisions based on feedback. For instance, if their title and description didn't include the keyword I made a note of that and they sent an updated version. This process helped ensure that the articles were the best they could be. I remember asking for a show of hands on “how many people love to write?” while in their class. A few raised their hands and I reminded them that technology has changed the ways that you can make money as a writer. When I was their age, your best option was to send book ideas to a publisher and hope for the best. Now you can start a website and get paid a number of different ways if you know what you are doing. So throughout the process I've sent video updates on traffic leaders, who is ranking in the top 10 for their keyword, and answering questions that students have had about niche sites in general. I really hope it has been an eye-opening experience for many of them. Four students are currently in the top 3 for their primary keyword. At our current pace, we should have well over 50,000 visitors to the site by May 1st. That is quite an accomplishment. I pretty much found the niche randomly, using some brainstorming and then evaluating the competition for various keywords like Spencer teaches. Once I had enough that made sense to put together on one site, we were ready to go. I did want to make it something school-friendly where students could do research and write in a factual way, as opposed to something like Spencer did with “best survival knife.” I did go with a “branded” domain and paid for a logo on Fiverr. No keywords are in our domain name. I've done very little link building for this site. I basically didn't want to risk any penalties by doing something stupid. The best thing I did was find a pretty solid expired domain that I've 301 redirected to ours. It had several nice links and was in the same niche. I found this domain doing some manual searching and following the method Brian Dean laid out in #11 on his list of 17 untapped back link sources. http://backlinko.com/17-untapped-backlink-sources. I did a quick evaluation of the back link profile on Ahrefs (I just have the free account) to make sure it was legit. I also checked Archive.org to make sure the old site was was what it sounded like. Besides that, once I had some decent articles on the site I submitted to AllTop (which I also heard about in this same article) which is a really high quality directory. I was approved in their home improvement category, so they linked back to my last 5 posts. Outside of that, some of our content that has done well has been naturally shared, liked, etc. on social media. Because of the great success of this project, it may well become an annual tradition for the 10th grade writing class. Each class will get its own site, and they can compare their total traffic from October to May against the classes of years past. I could really see the “Niche Site Project” becoming the most popular assignment at school! Something like that beats the pants off of a boring term paper in my humble opinion. I really enjoy the teaching aspect of it, and I think niche sites are a cool way to make extra money. I believe this will open the eyes of students to a world of possibilities. Maybe the next Spencer Haws is sitting behind one of those desks! Finding low competition keywords is one thing, but you've got to produce quality that is clearly better and more authoritative in order to pass them in the rankings. Not really. If you want to contact me, you can use the form on www.ballparksavvy.com. Thanks! No new sites in the plans for now. Hopefully we can do future class projects. Assignments with a potential to win some bucks are definitely interesting… I wish I had one when I was in 10th grade. Impressive. I am planning to do the same, not with 10 graders but with graduates or drop-outs. Glad someone already tried and found it successful. Thanks for bringing this up Spencer. Well, THIS should be teached at schools instead of other “learn’n’forget” subjects. As a parent who is involved in a lot of after school programs to engage kids I was very inspired. As my oldest is still a little young for something like this (he’s only 9) I plan on putting it in my file for future ideas. Is there any chance you wrote out an outline or basic plan you followed that you would care to share? Email me at jakecain7 at Gmail.com and I’ll send you some documentation that I used. No formal outline really. I really enjoyed this. Sometimes success seems to be very easy rather than harder. I wish I could figure out a way to adapt this to a college freshman history course I teach. If there are any low competition history-related keywords I haven’t found them yet! Ha! What a lovely story. It’s really a thinking-out-of-the-box story, and I’d wish that we’d the same assignment in my English class. It would’ve been amazing to get on it so soon. Jake, what an awesome idea! I know seeing a direct connection between writing and value added/money would have been interesting to me! I am sure it was the same for lots of students! Thanks, Jon. It’s been a lot of fun. What a great story and a great inspiration to those kids. I wish I had that kind of motivation when I was younger. Maybe I’d be retired by now, haha! This is a really cool idea! Great way to get kids engaged and teach them valuable skills. One thing I’m curious about is how you’re dealing with content ownership. Did you create an agreement where the kids assign the rights to you? Are there any issues with them being minors? Since you have the site monetized with AdSense it seems like these issues would have more legal implications than if the site was not monetized, but copyright and content ownership are still big issues. Just wondering how you handled it in this situation. Thanks for sharing the great story! So I listed each writer as the author in the text of the page, so it may start with “By Jake Cain”. So as far as I’m concerned, they own their writing and they are letting me use it for the purposes of the website. I also committed to giving money to the winners, whether this site made any money or not. So my hope was to at least make enough to cover what I am going to give back to the class. You raise a great point though, so if I ever tried to scale this and do it with another school it would be worth talking to someone who knows the appropriate steps to take. Awesome idea. I would like do the same thing as you did in my university. Probably i will talk to one of my tutors and ask him for that. Wow, spectacular. Niche Website making is slowly making it into the spotlight as a sort of mainstream profession. As more and more people enter the field it will become more competitive and knowing secrets like using LongTailPro will be the only way people rank for almost anything. I am already feeling behind because I am starting niche websites just this year. I wish I would’ve had this instruction in my 10th grade class. I’d have many more years of an ahead start than now. Great success story. That motivates me to continue building my websites up and get more traffic so I can generate some revenue through affiliate links and possibly Adsense again. I love your thought on engaging kids to learn and apply something that can benefit for their futures. Truly inspiration to us that didn’t have this kind of education in our school days. For people like us who loves to build niche sites, this is very encouraging to see. 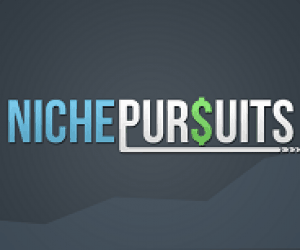 Hope you start more niche sites and maybe make some rel money to prove that it is worth the time and effort to build niches sites and in the process make huge money. Thank you, Jake and hope you can share more your well laid plan in details for us.